"What was the most memorable? Everything. That I get to be here. This is my first time outside of India. And that I get to swim in the ocean!! I swam for 3 hours." I get excited about swimming in the Persian Gulf. He's just happy to swim at all. "I grew up in a small town in Canada. I would never have imagined that I would be here today, talking to you and all the people from all around the world who shares my odd passion. The gap between the talks i see online and what i can accomplish myself to act and share those ideas, to make a real impact, used to feel really large & nebulous. An aspiration I was never sure i can achieve or worthy enough to be a part of. Now the path feels clearer. Imagine little ol' me from little small town is worthy enough to be a part of something special." "What got me started? I'm a school principal. I use the videos to teach because they are interesting. I make all my teachers teach with TEDTalks. 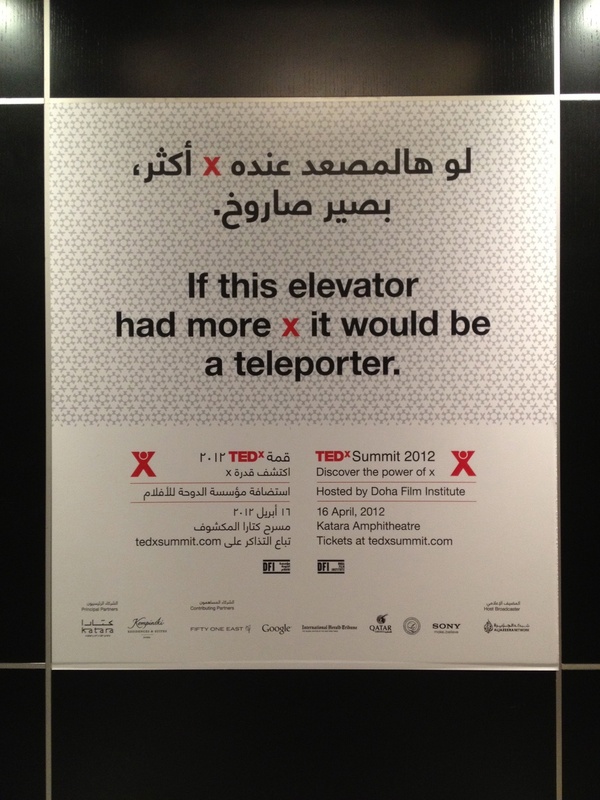 It makes sense to then hold one of the TEDx event. I was one of the earlier folks to receive an email from Chris asking to help shape the Youth program. It was rewarding. Tiring but rewarding. Along the way I realize I became a part of this special community. And it's great - to be a part of something global by ways of doing something you're already passionate about locally." "I'm afraid someone will find a systematic way to capitalize our passion and dedication. Our events are pretty big. Managing a team of volunteers to support big events can be challenging. You are not paying them. They work hard. Then along comes a gap - say you need a video crew. You can't find a volunteer for that so you've got to pay someone. Before long the volunteers would look back and say - hey, I work twice as hard and all I get is a pat in the back? Do you see where I'm going?" "All my life I try to be a good person. A role model. If I can help the TEDx team by being a role model organizer, I will." "Can you help tag TED-Ed talks with grade level suggestion? Or age group suggestion?" "Thank you so much for this workshop. I'm not sure if I'll be able to build a website yet but I feel more confident now. I think I can. It makes sense." No one knows what's next. But everyone knows we are all writing this story as we go together globally. That we are united by a common ground of doing something for the greater good: spread ideas, foster curiosity, inspire actions. The unknown is exciting.This is what is most awe inspiring about TEDx. What an amazing conference.